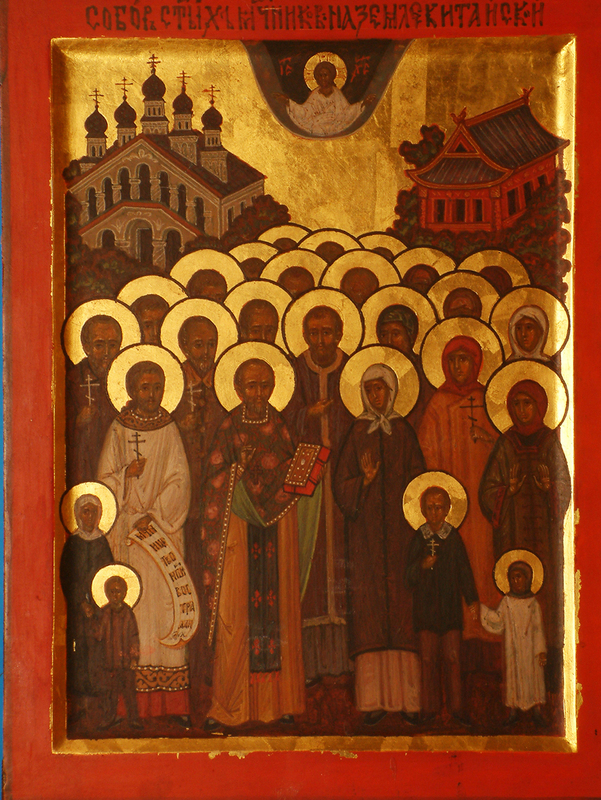 This Chinese Martyrs icon was painted in Russia around 1997. At the upper left is depicted the Church of All Holy Martyrs in Beiguan, where the relics of the Chinese Martyrs were originally kept in the church's crypt. This icon was delivered to Beijing and originally venerated in the former St Innocent of Irkutsk Church at the Russian Embassy. Since St Innocent has been converted to exclusive use as an assembly hall by the Embassy, this icon have found its current home at the Dormition of the Theotokos Church, which until its restoration on October 13, 2009, was used as an Embassy Garage.